Weekend getaway or income potential…OR BOTH!! 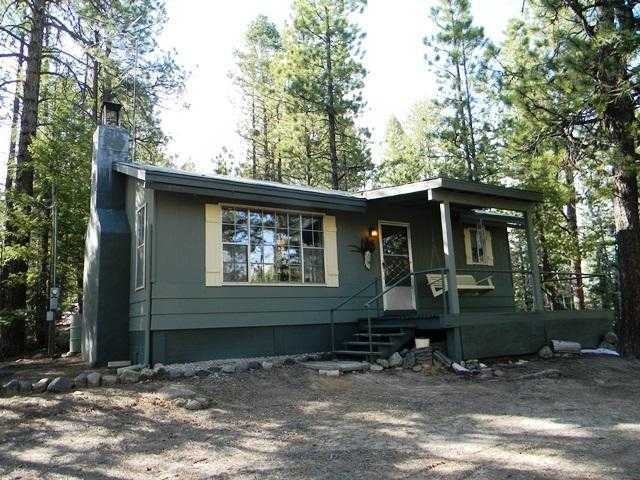 This sweet, secluded mountain cabin has had only 2 owners and is VERY well loved! Current owners ran it as The Jemez Mountain Getaway, a successful VRBO. As listed it sits on 5 sub-divided lots (over 4 acres total)on the outer edges of lovely Thompson Ridge and borders the Santa Fe National Forest. Lots could be sold separately if desired. 1 Bedroom and 1 full Bath, lovely living/kitchen/dining with wonderful hand made rock fireplace. Fully furnished and ready for you to move in! Incredible room to roam and within hiking distance to San Antonio Hot Springs. Just a few miles to groceries and restaurants in La Cueva. Easy day trips to Santa Fe, Bandelier, Los Alamos and the Valles Caldera! Get some family and friends together and GET THIS ONE! Please, send me more information on this property: MLS# 915628 – $230,000 – 63 Spruce Drive, Jemez Springs, NM 87025. I would like to schedule a private showing for this property: MLS# 915628 – $230,000 – 63 Spruce Drive, Jemez Springs, NM 87025.